As the world becomes increasingly intertwined, LSE’s Susan Poni Lado reflects on the role of mass media in spreading culture globally in a post originally published on the Africa at LSE blog (27 November 2015). More often than not, TCKs are asked the dreaded question: where are you from? Often, in the midst of the unplaceable cultural matrix, TCKs cannot respond to this question and it is highly likely that they will be recalling the numerous places in which they spent their formative years; only to have a sense of being and belonging everywhere and nowhere, all at once. To be a TCK is to adopt a third understanding of the way in which societies really are as opposed to dominant stereotypes. Research has shown that TCKs tend to have a higher cultural tolerance.Globalisation, more than anything else, informs how we think and feel about culture. 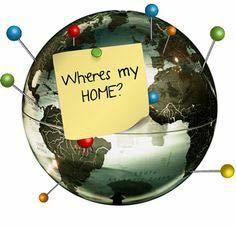 Third culture kids (TCKs) are commonly defined as those children who have spent a large portion of their formative years in a culture(s) different to that of their parents. The third in third culture is given primary importance here. Original post on the African at LSE blog can be found here.